IGNOU is the world’s largest university, with a staggering 30 lakh students on its rolls. Will going digital help it grow even bigger? There was a time in India when one had to go to a university and be physically present to attend classes in order to earn a degree. Then came distance education, making higher education easily accessible to one and all. The Indira Gandhi National Open University – better known by its acronym IGNOU – proved to be a game-changer. Students no longer needed to choose between earning and learning. One could now do both. It started off with just two courses and 5,000 students; today it provides over 200 courses to more than 30 lakh students to claim the position of the largest open university in the world. Uma Kanjilal of the library and information sciences of IGNOU, had joined the university in the initial years. She recalls the initial phase of the university which was nothing more than a few buildings at Maidan Garhi, then a remote south Delhi area. “It had just the basic infrastructure,” she recalls. To teach the students, whom they would never get to see, was the new experience for most of the teachers. Teachers like her had to first go through a training to understand the concept of distance learning. Then they were asked to prepare self-help material in such a way that the students could easily grasp the subject without attending classes. It was a daunting task. Those were days of the clackety-clack of the typewriters. Kanjilal says in those days lessons would be recorded on a tape. “Duplication of an audio and later video cassette was considered a special technical skill,” she says. Kanjilal and her peers would spend hours in the studios getting accustomed to the style and technique of audio-visual recording. However, things had dramatically changed by the time the university was hosting its thirtieth convocation in April this year. The plush marquee that housed the ceremony in IGNOU campus was equipped with large screens and multi-camera setups pointed at the stage. Students wearing graduation gowns and scholar hats excitedly shared their experiences of learning at their convenience and without attending classes. Vice chancellor (in charge) Ravindra Kumar announced that the IGNOU was on its journey from focusing on distance learning to moving towards digital learning. IGNOU was the first national open university of India when it was established by an Act of parliament in 1985. The Andhra Pradesh Open University, now renamed as Dr BR Ambedkar Open University, was the first one at the state-level. Ravindra Kumar says they were initially targeting a specific group of students, mostly out of college. “The idea was to enroll students who did not get an opportunity to go through a classroom in their youth for various reasons. That’s why IGNOU decided to do away with fixed-hours teaching. “The classroom structure operates roughly between 8 am and 4 pm. This is the time, when people also go to work. They either have to leave their classrooms and go to workplaces or vice versa. So, this was the clientele which we initially had in our mind,” he says. Initially, IGNOU offered a course in management and a diploma course in distance education. VV Reddy, director, regional services, IGNOU, says more courses were unveiled gradually. “In the second phase, we moved into social sciences, sciences, computing, engineering and rural development.” In the third phase, the IGNOU introduced less conventional disciplines like anthropology, hospitality, tourism, vocational education and performing arts. Today, the university offers 232 academic programmes. It has a dense network of over 3,000 study centres and more than 58,000 academic counsellors across the country. The average pass percentage for most of the programmes is between 15 to 20 percent. “Completing a course successfully in IGNOU is not an easy task. Our curriculum is on par with the curriculum of any other national university. So, the passing percentage is bound to be low. Certain difficulty level has to be maintained. But, we’re giving the students flexibility – a longer duration to complete the programme,” says Reddy. By the turn of the millennium, IGNOU was readying for a major change. Though IGNOU’s enrolment and popularity had increased manifold, the high-ups were realising that it was now catering to the needs of a different student and not the one they had set out with. The university then tried online delivery of the study material through the ‘Virtual Campus’ project. However, the online functioning was restricted to uploading the material and communication via email. 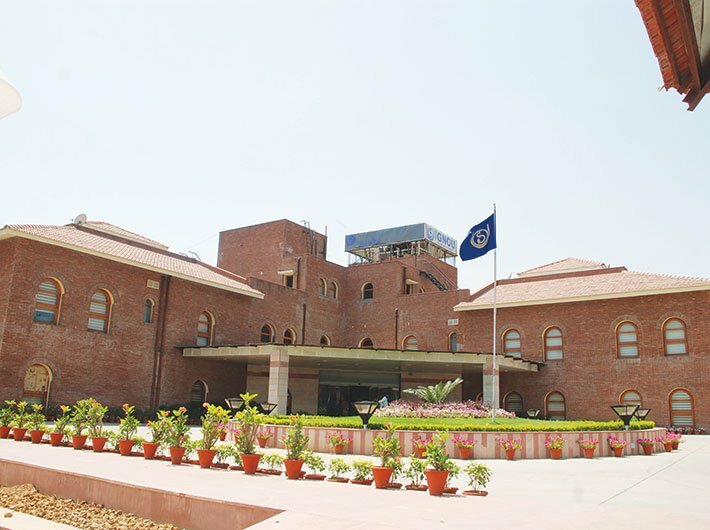 The reach of the university’s educational material increased significantly with the launch of the world’s first round-the-clock educational TV channel Gyan Darshan in 1998 and the radio station Gyan Vani in 2000. The university was now uploading its videos on the online video-sharing platform YouTube. It was not an instant success; it took time to pick up. The main reason was low internet penetration. Kanjilal says the regional centres were of great help at this stage. Since the centres were equipped with good internet connections, the students could work there – either watch the videos or download them. In 2009, IGNOU made some of its courses accessible solely online. The students could write their exams online as well and could submit their assignments. This was scuttled by the University Grants Commission (UGC), which tried to address the lacunae in the online education and examination system. In 2013, IGNOU had to back-pedal to the offline mode to comply with the UGC notification. However, the university introduced online admission for students of the majority of the courses in 2015. According to the vice chancellor’s report, over 1.5 lakh students used the online mode for admission in the January 2017 cycle. “Everything is online now. Students can register themselves online, upload the documents required for the admission and pay their fees online. This really helps us in a way. Through the online admission, students enter themselves in the database of the IGNOU. This way, it’s easy to handle the students’ database,” says Reddy. However, a few years back, the university had let down its students by reportedly scrapping as many as 400 courses, which had led to protests and legal proceedings by some of the stranded students. The scrapped courses have still not been revived in the university, says Reddy. IGNOU is the national coordinator for the human resource development ministry’s Study Web of Active Learning by Young Aspring Minds (SWAYAM) – a project that will offer Massive Open Online Courses (MOOCs). IGNOU is preparing to add 300 MOOCs to the SWAYAM platform, which is yet to be launched. Time and again, IGNOU has partnered with the centre, state governments, statutory bodies and private sector companies for a wider reach. The university has also launched a motorcycle repair progamme in collaboration with Hero, a motorcycle manufacturing company. In coming years, the IGNOU is planning to reach out to rural areas. Interestingly, as part of its new initiative the IGNOU is planning to set up one of its first digital learning centres (DLCs) at Gadchiroli, a Maoist belt in the eastern Maharashtra. The DLCs are meant to be set up in many rural and semi-urban areas to increase IGNOU’s reach. Kumar said IGNOU is also augmenting Gyan Darshan and Gyan Vani broadcast. “The DLCs will serve our rural-based learners in time slots of their choice and at places that do not require their displacement from their home villages,” he says. Kumar is also of the opinion that the conventional education system is bound to be obsolete. “We have to adopt digital learning methods. Now in 2017, the profile of the IGNOU learners has completely changed. We have entered the digital age. The learners have started showing interest in multiple programmes. We want to convert our learning material into digitised modules. These modules will be stand-alone learning materials. And a learner will be free to choose six of these digitised modules for instance and create a certificate programme of his or her choice. So, now we’re working towards digitised learning,” he says.